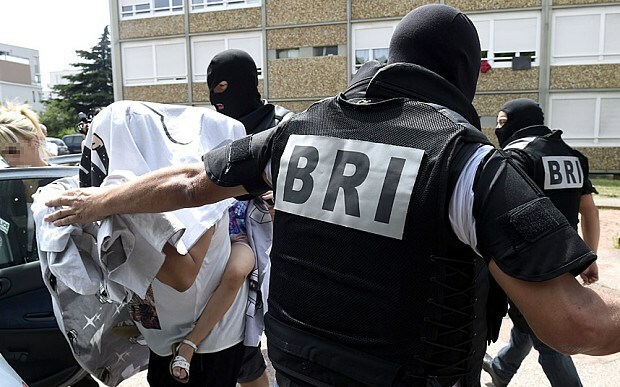 What really happened in France and why was Salhi known to security services for nearly a decade? Whether it’s the BRI, FBI or any other alphabet agency, a clear pattern has emerged, one linking intelligence services to suspected criminals before an alleged attack has been carried out. As 21 WIRE has noted a number of times, many so-called ‘terror events’ involve individuals being monitored by security services prior to an alleged act taking place. In fact, very often those being watched by authorities, depict all the tell-tale signs of a patsy or an informant, working either with law enforcement or some intelligence agency. Historically, government operators have often made use of low-life criminals, and mentally disturbed individuals. Back in late March, the apparent attack on the Bardo Museum in Tunisia was also not without some ‘questionable’, albeit, all too familiar activity taking place prior to the museum shooting. There have been many terror attacks propagandized by mass media and authorities – only to have the incident connected in some way to security operations. Is this what happened at the Imperial Marhaba Hotel or was it something else? 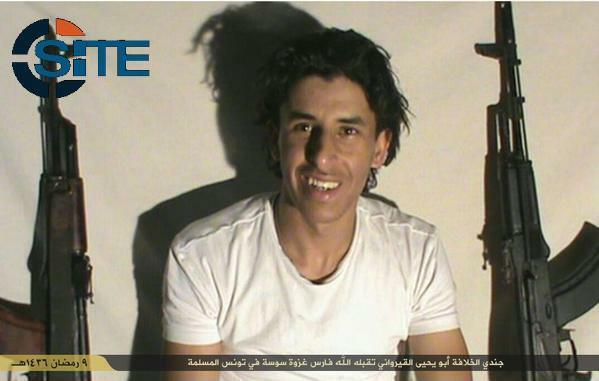 A single gunman, 24 year-old Seifeddine Rezgui (Saif Rezgui) was named in the Sousse beach resort attack this past Friday. He is said to have opened fire on tourists at the beach before entering the luxury hotel. All told, the suspected gunman Rezgui, apparently killed 39 people before being shot by police. “On Wednesday, Saif Rezgui sat down with friends in his Tunisian hometown to chat about his favourite football team, girls and his breakdance skills over coffee and cigarettes. 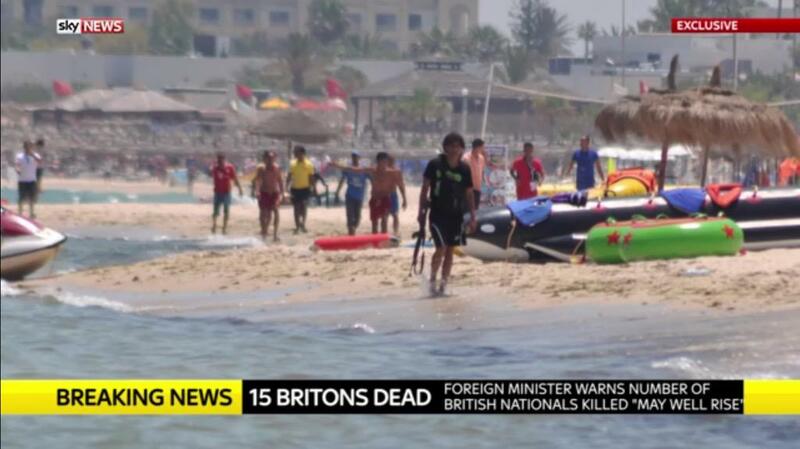 Authorities now state that at least 18 of the victims were British, with other victims being listed from Tunisia, Germany, Belgium, France and Russia, as death tolls are said to rise. Sky News has released a video from one of the hotel guests, only adding to the mystery of what happened at the Tunisian resort. While Rezgui is said to have no direct connection to terror, Tunisia’s resorts were targeted nearly 30 years ago, as Germany’s Spiegel reports. Curiously before the attack, authorities acknowledge that new ‘heightened security measures‘ were put in place for the summer, as Tunisia was already working on new ant-terror measures back in March, during the Bardo Museum attack. Accounts seems to differ from the official narrative, as only Rezgui was named in the attack by authorities – who were the other individuals that eyewitnesses claim that they saw? Although we’ve been told that ISIS has claimed responsibility for the attack, SITE Intelligence Group ‘confirmed’ the attack claims via social media. As we’ve discussed many times here at 21WIRE, the intelligence monitoring group SITE, has ties to both the CIA and Israeli intelligence. Over the years ethical concerns about the group have been raised and according to the group’s founder, Rita Katz – they’ve managed to release terror related material linked to ISIS prior to the militant group itself. The attack at the Tunisia resort is similar to a seemingly staged ‘double attack’ said to have taken place outside the Corinthia hotel in Tripoli in early January. According to SITE, an ISIS linked terror group called ‘Tripoli Province‘ had claimed credit for the attacks at the luxury hotel. It’s important to consider that Tunisia has also been in trade talk negotiations with the European Union, as new talks are set for October. The attack in Kuwait underlines the growing problem of ISIS, manufactured or not. The recent attack at the Kuwaiti mosque is just more evidence of a cascading nightmare throughout the Middle East. The public will most likely see a ramp up of this kind of violence as the West is looking for a larger coalition to invade Iraq and Syria. As the article continues, we see the growing power of clandestine intelligence agencies and their direct involvement in so-called ‘terrorist’ incidents, most notably with the CIA since 9/11: “the creation of a super-Intelligence Support Activity, an organization it dubs the Proactive, Preemptive Operations Group (P2OG), to bring together CIA and military covert action, information warfare, intelligence and cover and deception. Former British intelligence agent, Kevin Fulton, who also worked with the FRU, stated that knowledge of the orchestrated unit was known by high level officials, claiming they had been ‘sanctioned’ by former PM Margaret Thatcher. When examining the shocking claims of CIA operations, along with stories of British intelligence operatives colluding with the IRA in deep cover terrorist acts in Northern Ireland via the FRU, your reminded of the heavily orchestrated attacks within Iraq, that continue to stoke the flames in the Sunni–Shia civil war. The timing and nature of what happened in France, Tunisia and Kuwait should also be considered, as it’s no coincidence that the attacks occurred as we near the 10 year anniversary of London’s 7/7 bombing. More than 60 are said to have died in the events that unfolded in all three locations last week. What will come next in the global theater play of security and terror? UPDATE: There have now been several other men arrested in connection with the Sousse resort attack.